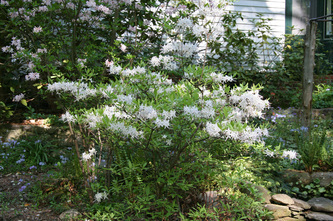 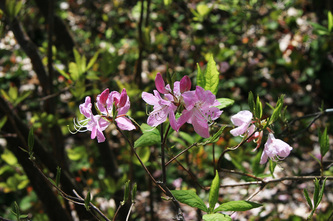 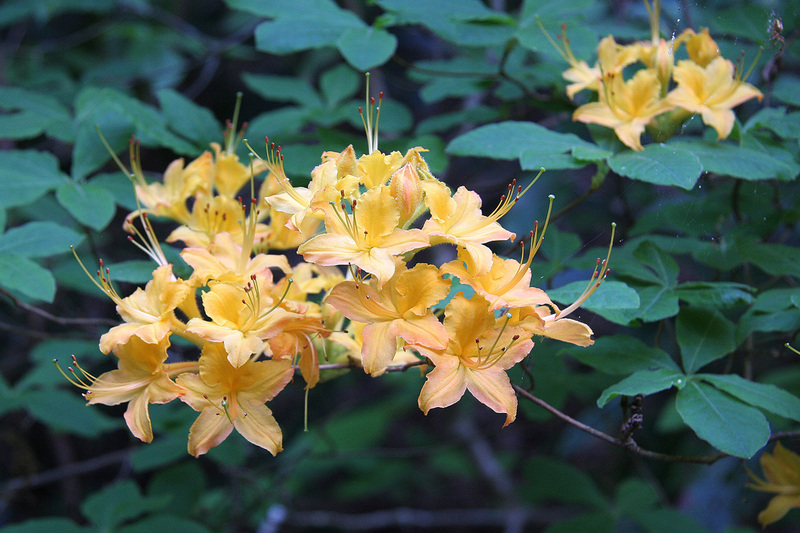 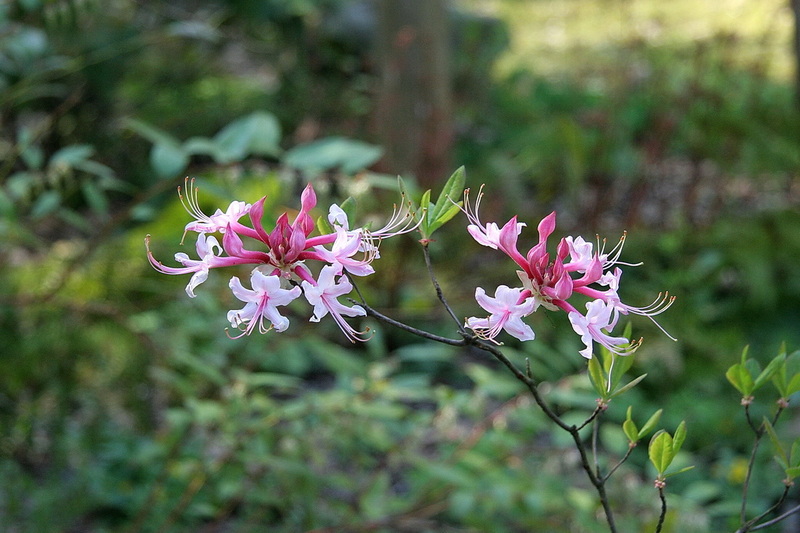 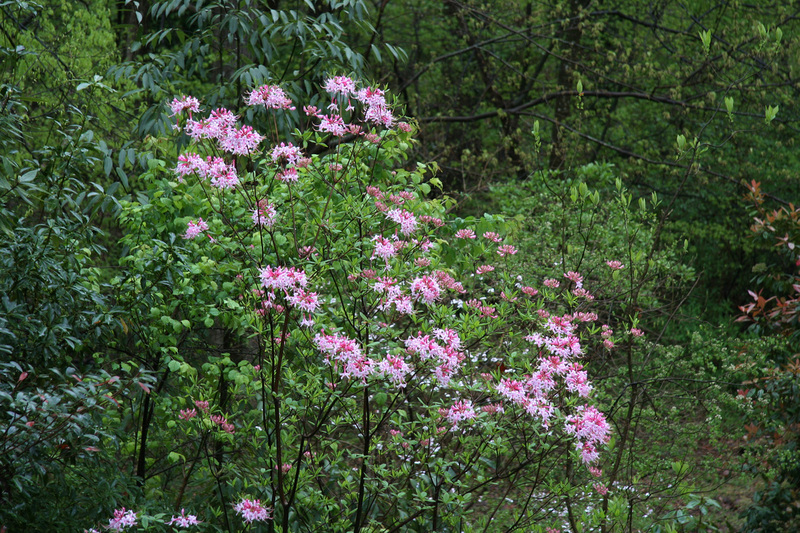 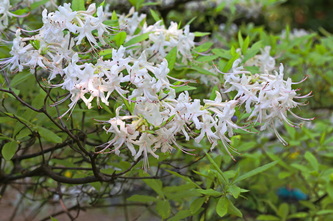 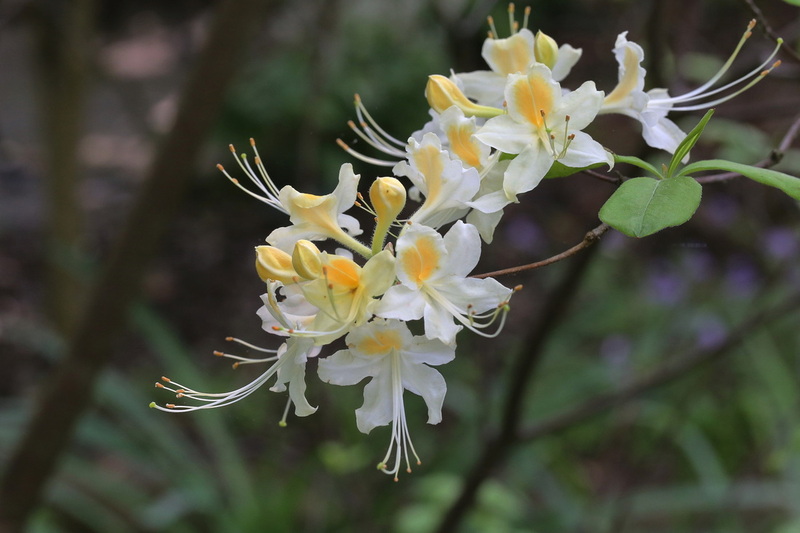 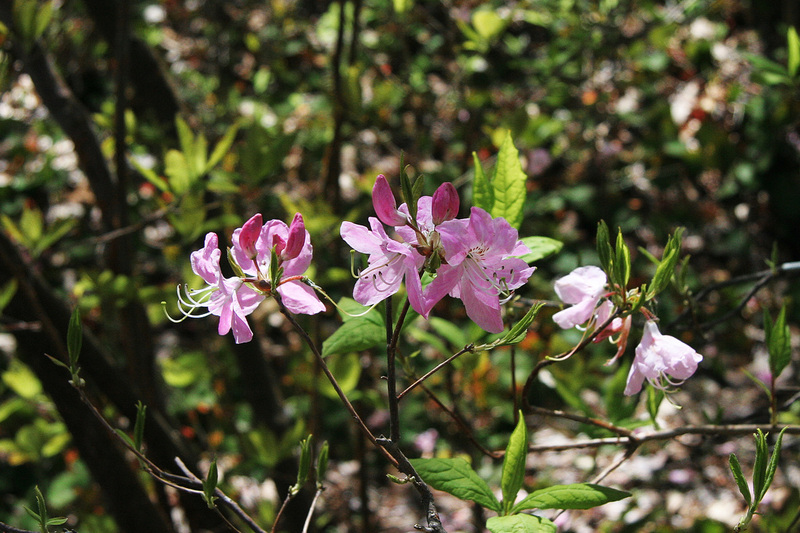 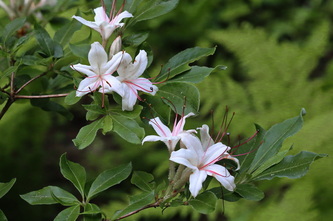 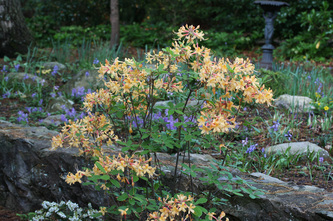 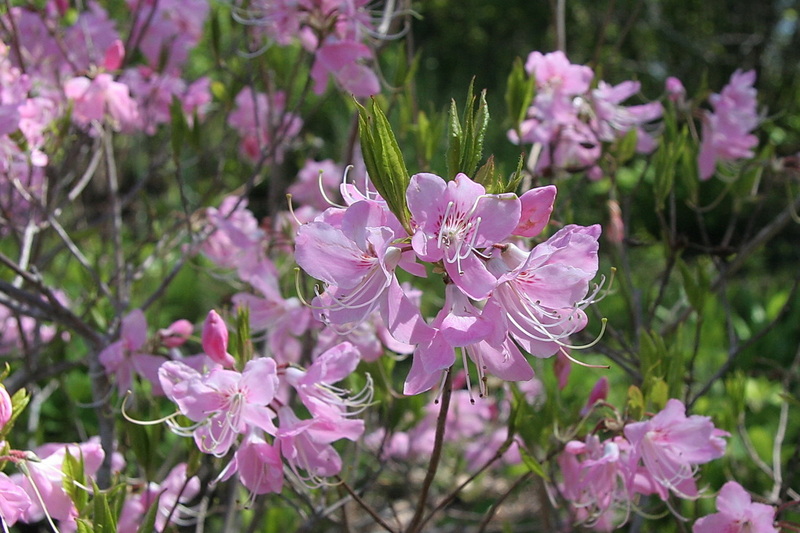 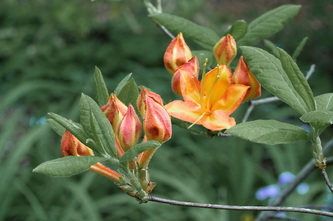 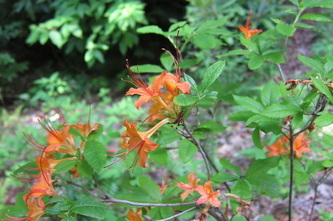 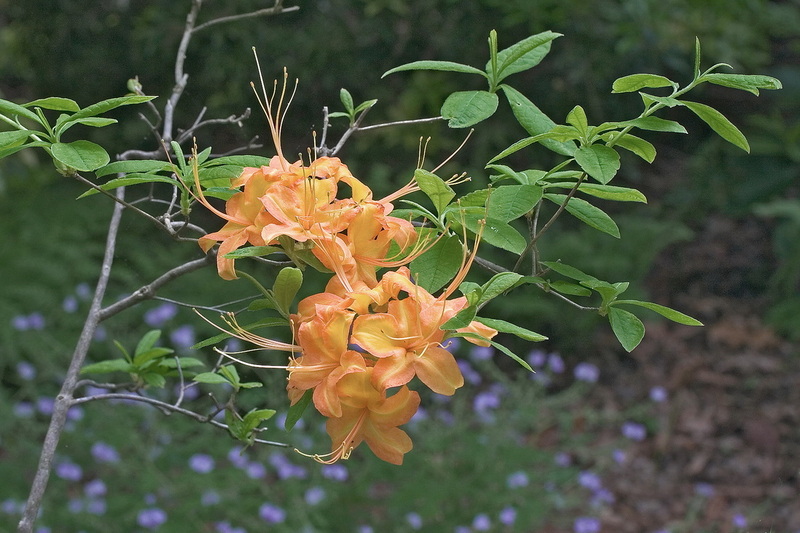 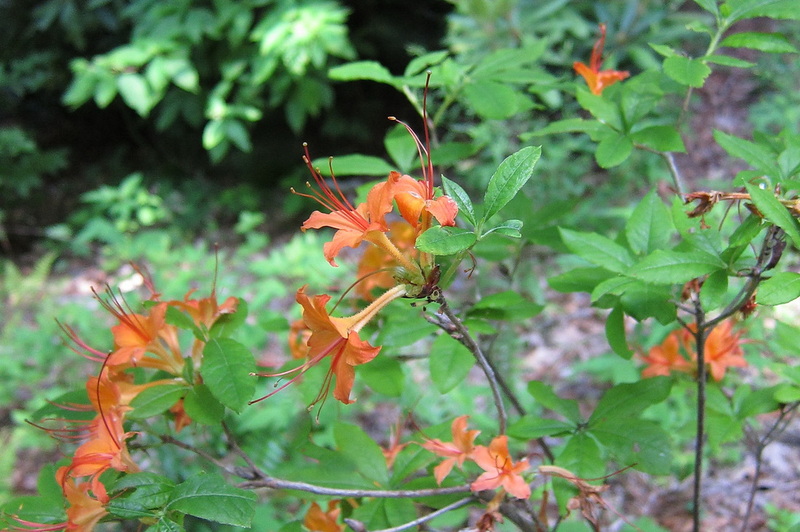 ﻿Pictured here are eight of the sixteen species of native American azaleas. 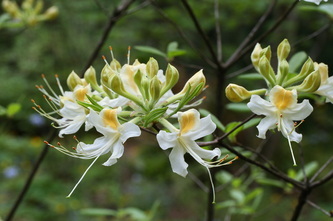 Native azaleas are deciduous, unlike the common azaleas found in most gardens, which originated in Asia and are evergreen. 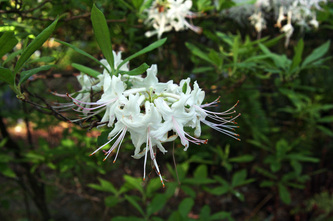 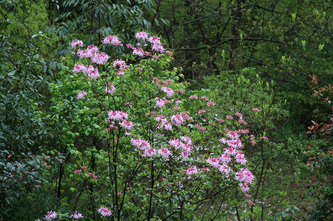 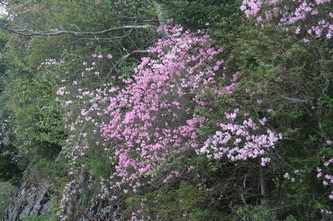 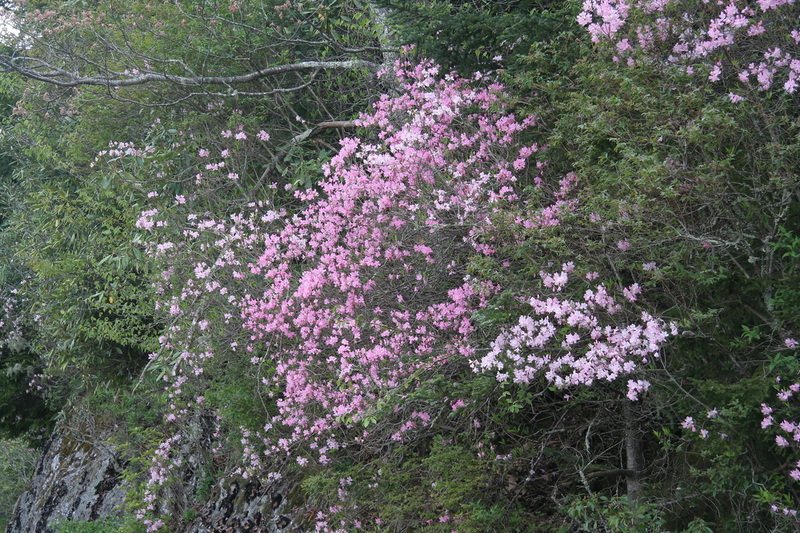 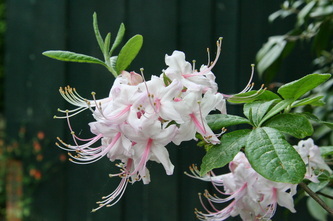 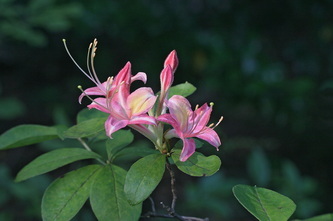 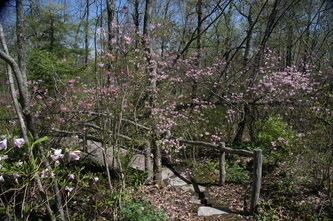 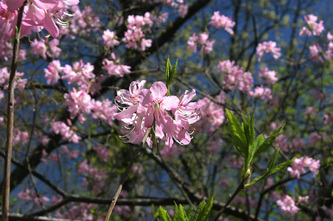 Native azaleas, like their Asian cousins, are all members of the genus Rhododendron. 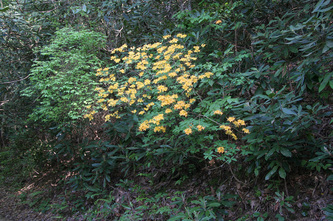 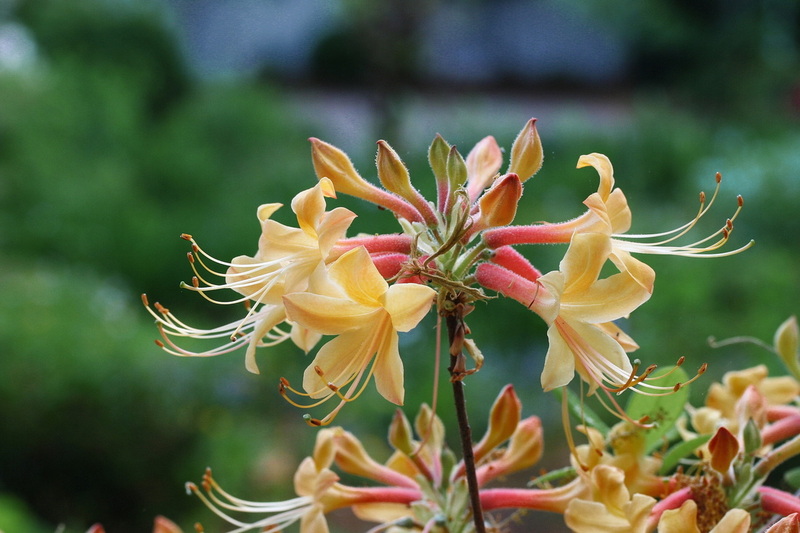 The photographs shown here were taken in either the Chapel Hill garden or our Lake Toxaway garden, or in the case of Rhodonendron vaseyi, at the Southern Highlands Reserve at Lake Toxaway. 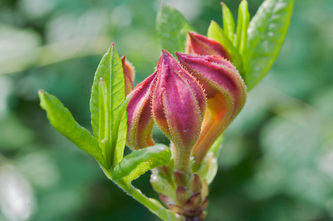 R. vaseyi is a rare plant that grows in only six counties in Western North Carolina above about 4,000 feet. 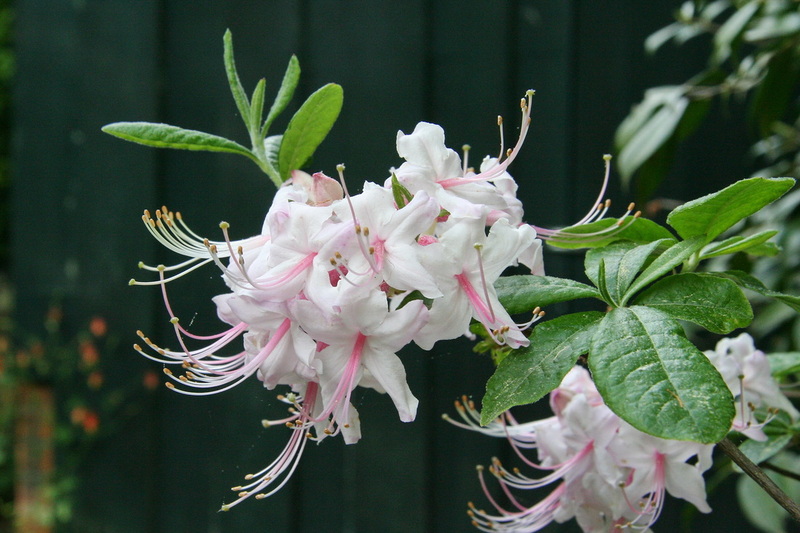 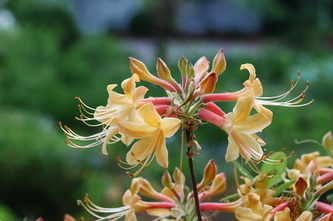 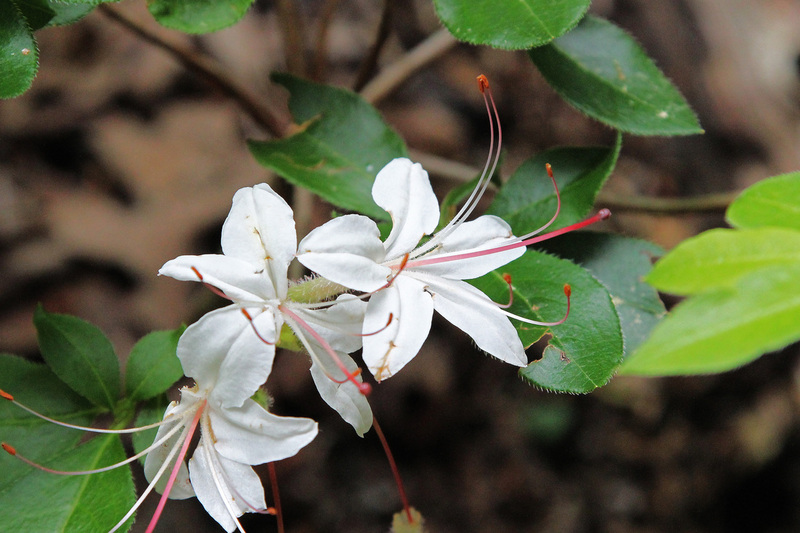 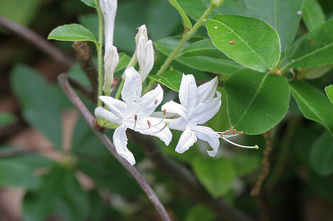 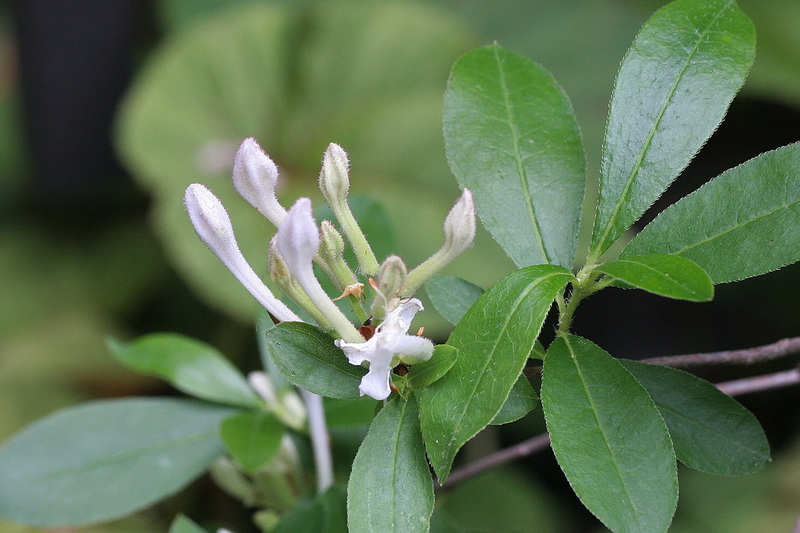 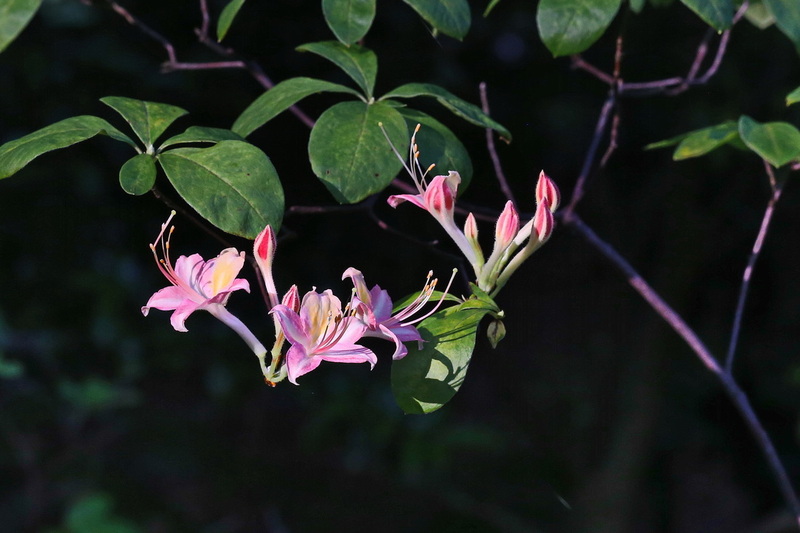 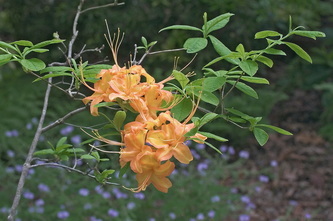 Vaseyi blossoms differ also in having seven stamens, versus the more typical five in other native azalea species﻿.